Me with Mayor Frank Johnson at his office yesterday. Yesterday, I got to spend some time with Cleveland’s 56th mayor, Frank Jackson. I can not share all the details about the off the record conversation that a small group of African American and multiracial students from University School had with Mayor Jackson. I can tell you it was deep and he was very open about his thoughts and feelings on some really important issues. How do you feel about the allegations of excessive force by Cleveland Police? How do you feel about the Cleveland Police Union endorsing Donald Trump for President? How do you feel about Stop and Frisk? What is your view on what Colin Kaepernick did? And he thoughtfully and wisely responded to each question. It was awesome to hear the views of a multiracial political leader on these difficult topics. Mayor Jackson was elected in 2005 and re-elected in 2009 and 2013, making him just the second Cleveland mayor to serve three terms. Clearly, he is a very popular mayor and has led the City of Cleveland to a really great era. This year the Cleveland Cavaliers won the NBA Championship, Cleveland hosted the Republican National Convention and now, the Cleveland Indians are headed to the World Series! Go Tribe! Go! Jackson was born in Cleveland in 1946 to a black father and a white mother. After graduating from High School, he served in the Army. When he returned, he went to Cleveland State University to study Urban Studies and History. He also earned his master’s degree in Urban Affairs. He became an attorney, working as an assistant city prosecutor, after putting himself through law school also at CSU. Soon he won a seat on the Cleveland’s City Council where he was involved in creating a lot of positive change in an area of the city that had many problems. He is the first sitting member of Cleveland City Council to become mayor since 1867. During his mayoral campaign, Jackson said that if he didn’t restore hope to the ailing city within 200 days of taking office, he would consider himself a failure. I have only lived in Cleveland for a year and a half, but this city is full of hope and excitement. Soon after his inauguration, Jackson began working with the Cleveland Police Department. He introduced a new use of force policy that states: “Excessive force shall not be tolerated.” It is very interesting that Cleveland has been a prominent city in this discussion of excessive force and police gun violence against black men since the shooting of 12 year old Tamir Rice by a Cleveland Police officer in 2014 and it was good to hear the Mayor’s views on it. Muhammad Ali was an amazing man. A world champion fighter, a civil rights activist, and a hero to many people. When he passed away this summer it was a great loss to the world. My mom worked for Muhammad for a number of years and was lucky to consider him a special friend. Below you can see pictures of some of the fun times they shared. But as much as my mom and people around the world will miss The Greatest, there are, of course, few people who will miss him as much as his children. Today’s Famous Friday is Laila Ali, Muhammad’s 8th, and probably most well-known, child. Like her father, Laila was a boxer. Boxing among women was pretty new when she began the career, which earned her multiple middleweight and light heavyweight championships and ended without a single defeat! Laila graduated from Santa Monica College with a business degree. She is also a TV personality and an author of Reach! Finding Strength, Spirit, and Personal Power, a book written to motivate and inspire young people. Laila married Johnny McClain, who became her business manager but divorced after 5 years. In 2007, she married Curtis Conway who played for the Bears, Chargers, Jets and 49ers. Together they have a son and a daughter. -Karson Baldwin, Project RACE Kids President. Many people believe that interracial families and multiracial people are a relatively new thing. But, while our numbers are growing really quickly these days, mixed-race families are definitely nothing new. There is tons of historical evidence that families like mine have been around for many centuries, long before the United States was even founded. Throughout Europe, African migration (some through slavery and some by choice) resulted in the birth of a multitude of multiracial people . This week’s Famous Friday is one of those prominent multiracial people from the 1500s! Alessandro de’ Medici was believed to be the child of a famous Florentine banking family heir Lorenzo de’ Medici and an Afro-European woman named Simunetta. Some believe that Simunetta da Collevecchio was a slave to Alessandro’s grandmother Alfonsina Orsini de’ Medici who lived in Naples, Italy. His nickname was “Il Moro”, which means “the Moor”, due to his dark features. In 1532, at only 19 years old, Alessandro became the Duke of Florence. Many believe that made him the first “black” head of state in the Western World. I assume that means he may have been the first multiracial head of state. That is a pretty cool accomplishment, especially for a teenager, but many do not believe that he was a great leader. In 1536, Alessandro married the daughter of Charles V Margaret of Austria. His only children were not had born to his wife, however. 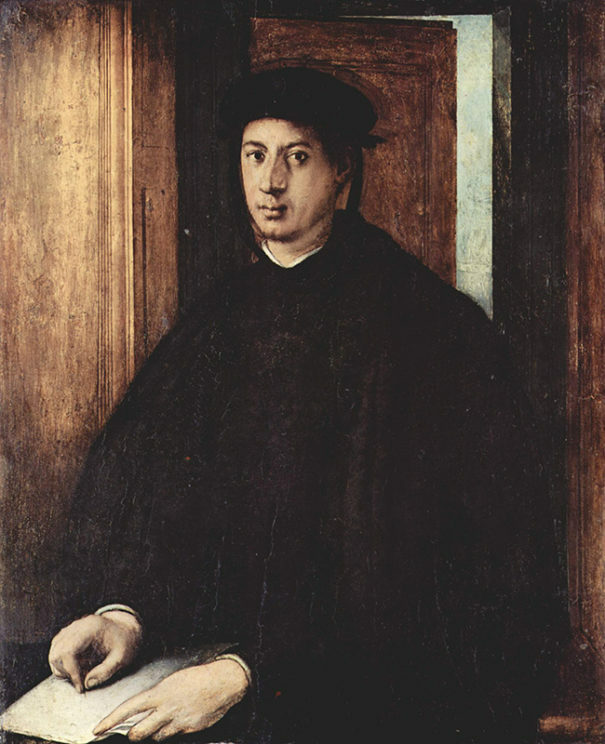 His children Giulio di Alessandro de’ Medici andGiulia de’ Medici were born to his mistress, Taddea Malaspina. 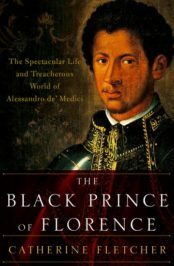 Alessandro is the subject of a new book by Catherine Fletcher, The Black Prince of Florence, and I really look forward to reading it to learn more about him and race during the Renaissance era. Featured image: “Medici Chapel roof” via Flikr. Coffey Anderson is a popular country and contemporary Christian singer. Since I do not usually listen to country music, except unwillingly when my sister Kendall is home, it is not a surprise that I had not heard of Coffey until recently. I have always found most country music a little silly, but the reason this country singer came to my attention is not silly at all. With the recent officer-involved shootings of people of color, Coffey made a video giving advice on exactly how to behave if you are stopped by police to increase the odds that you will make it home safely. The video called, “Stop the Violence Safety Video for When You Get Pulled Over by the Police”, addresses stereotypes and is a very caring and respectful message. Before posting it he checked with a Texas sheriff to make sure the information in it was correct. Put your ID on dash. Place both hands on steering wheel. Keep the radio volume low. This video has gone viral with over 36,000,000 views. Conversations of race and discrimination aren’t usually associated with the country music scene. But, Coffey grew up in Texas with a black mother and a white father. Interestingly, his father worked as a corrections officer. This background, as a multiracial individual and the son of an officer, must give him a unique perspective on this important issue. Coffey has made eight albums so far and founded his own indie record label, Coffey Entertainment. Another thing I admire about him is that he was an All-American basketball player at Howard Payne University where he earned a bachelor’s degree in Ministry. He now lives with his wife, hip-hop dancer Criscilla Crossland, and child in Nashville and has performed on many shows including American Idol. His charity work has mostly focused on helping veterans. I may not be a huge country music fan, but I have become a Coffey Anderson fan. Taylor (Saucy T) Alexander Erickson, or Tay, was born on November 23 1995 to a white father and a black mother. He has recently been very successful making a wide variety of unconventional videos. Earlier this year, one of his videos on health insurance and youth enrollment even earned him an invitation to speak and screen his unique work at the White House. These videos, produced with only an iphone, have earned Tay several awards, won numerous contests and have recently launched him on a profitable career. Tay has also produced a “saucy” Multiracial Heritage Week video for Project RACE. The short video will be unveiled on Monday, June 6th on the eve of this year’s celebration. So stay tuned and when we post it, be sure to share it everywhere you can to help spread the word about MHW’16 and make Tay a little more famous. Klay’s parents and brothers, both of whom are also pro athletes. Klay Thompson is an NBA All-Star. He’s explosive! He does not get anywhere near the amount of attention that his teammate, and fellow Splash Brother, Stephen Curry receives. But then again, who does? Still, Klay Thompson is a huge contributor to the Golden State Warriors success throughout the past two seasons. Last year he scored an NBA reord 37 points – in a SINGLE QUARTER – going 13 of 13 from the field. GHEEEESH! Basketball is clearly in his blood. Born on February 8 1990 to a Bahamian father, who played good ball for the championship Los Angeles Lakers in the 1980s and 90s, and a white mother, Klay attended Washington State University. After winning the NBA championship in 2015, Thompson and his father became the fourth father-son duo to each win a title as players, joining Matt Guokas, Sr. and Jr.; Rick andBrent Barry; and Bill and Luke Walton. The 6’7″ 26 year old shooting guard, has been playing great basketball, on what is arguably the greatest team in NBA history and definitely the winningest team in NBA history, finishing the regular season with a all time best 73-9 record. Have you seen this kid? Well, if you have, you’re not alone! Over 60 million viewers have watched in amazement as 6 year old Jaliyah Manuel shows off her incredible basketball skills! Jaliyah, who’s mother is white and father is black, says that Lebron is her favorite player, and earlier this week she actually got to meet him – and HE recognized HER! Not only that, but lots of people are calling her the next Steph Curry! Whether it be Lebron or Steph, it seems she works as hard as any NBA player, even going to the gym seven days a week. When she’s not playing ball or doing school work, Jaliyah, who lives with her family in Louisiana, loves being a big sister to her baby brother. As young as she is, she also spends time inspiring others. Jaliyah is already giving motivational speeches to students to encourage them to work hard and dream big! If you have never seen this girl at work, check out this video! And if you have… I bet you want to see it again! Not often you can write a Famous Friday on a good family friend you’ve known all your life, but this time, I can! Meet my friend, Sydney McLaughlin. we grew up going to church together in New Jersey. Sydney is the third of the four amazing McLaughlin kids. Both of their parents were track sensations when they were young and the kids are following in their proud parent’s footsteps. Sydney’s list of state and national records and awards is a long one. She specializes in the 400 and 200 meters and from day one of her high school career, everyone knew she was the kind of super gifted athlete that does not come along very often. Sydney, who is reigning World Youth Champion in the 400 meter hurdles, and her older brother Taylor were named last year as the Fastest Siblings in High School Track and Field. Just two weeks ago, Sydney broke the state record in the girls 400-meter run with a time of 53.34! She has NEVER lost a 400 hurdles race. NEVER. All she does is win, win, win! Despite all this sucess at a young age, Sydney is a very sweet and humble girl. My friend is only a junior in high school, but she has already become a legend. I am pretty sure we will get to cheer her on in the Olympics one day. GO SYDNEY!! !